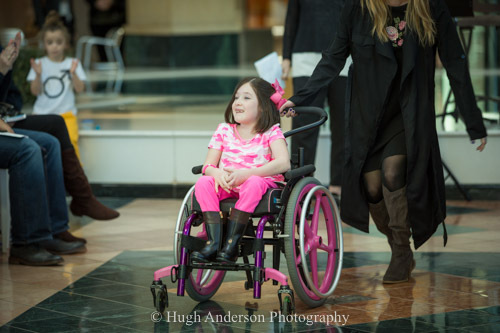 Shine Fashion Show presented by Variety Children's Charity & FAR Therapeutic Arts & Recreation. 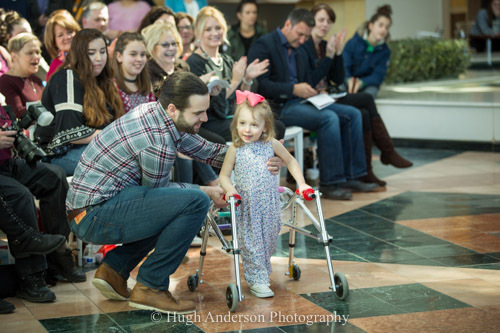 If you wanted to see an elegant display of courage, confidence, and high levels of enthusiasm, then the Shine Fashion Show held at The Somerset Collection on Sunday was the place to be. As an able bodied person, the thought of performing in front of a crowd of people terrifies me. It's how it is with most people. We worry about our flaws, our less than perfect appearances, whether or not we will put our foot in our mouth, even if we have the strength to actually open our mouth. Performing in public is, to most of us, too much to contemplate. Now imagine being hardly able to stand on your own two feet, and someone saying "hey, why don't you put on some clothes, and model them in a fashion show? In public!". I truly can't comprehend much fear that would generate in me. We can all be a little brave, until it comes to the crunch. Anyone who has given a speech, at a wedding for example, knows how scary it is. So how can it be that a bunch of kids, all with their own challenges, and some much worse than others, were able to put on a show that most of us couldn't pull off? As I become more and more involved with giving a small helping hand (my photography) to FAR Therapeutic Arts & Recreation, I am astonished at the bravery and confidence displayed by these children. Make no mistake, they rocked it! I Cried, Then I Cried Again. At one point during the show, it was a little to much for me and the tears started to flow. Turning away, my eyes met with the gentleman behind the counter at Somerset - and without a word being spoken, we pretty much each knew how the other was feeling. Trying to be a macho as possible, as we guys tend to do, I sucked it up and carried on. Then, as I sat alone in the evening editing the images from the session, I completely lost it. Looking at these kids and all that they have to deal, it didn't stop them from smiling happily as they performed - and I realized just how lucky the rest of us really are. One after another, the kids came out and did their bit. Some were a little shy, some clearly reveled in the spotlight, and some were positively on their game. Faces that are becoming familiar to me did their part beautifully. 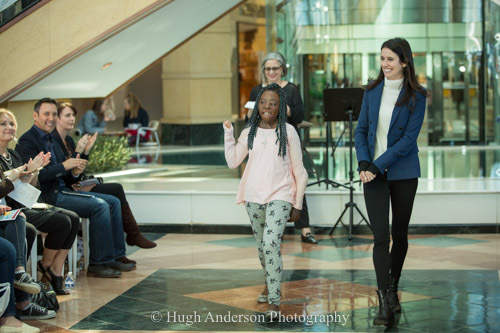 Laura & Angelina, who performed a duet at an event at The Townsend Hotel only two nights previously, displayed such confidence and poise. They were in their element. I could write and write about the inspiration we can draw from these children, and the lessons we can learn. Instead, I'll share some images from the event. You can download a complimentary web version of any image. Please note, you will be guided through the process of creating an account as though you were making a purchase - but there will be no charge made, and no credit card required.